Fancy learning something new? Join us at our workshops. We run workshops and lessons for beginners and more advanced ‘sewers’. Choose and book directly online here. 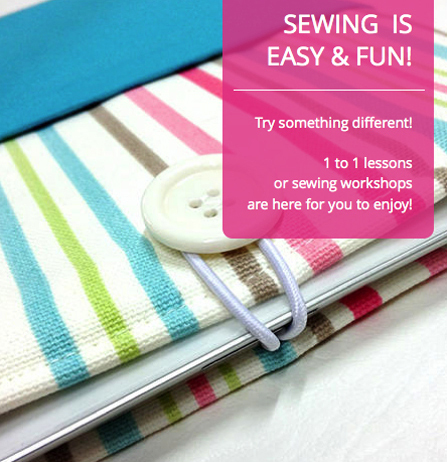 Next beginners workshops takes place 1st of March, next one after that is on Saturday 22/03/2014 10:00 – 13:00 and 26/04/2014 10:00 – 13:00 in our studio in Stoke (Plymouth).